Here we are with episode 37 of The TechBox. A podcast hosted by David Rich, Richard Yates, James Honeyball Andy Hagon and Rich Fletcher. Here we are with episode 36 of The TechBox. A podcast hosted by David Rich, Richard Yates, James Honeyball Andy Hagon and Rich Fletcher. Here we are with episode 35 of The TechBox. A podcast hosted by David Rich, Richard Yates, James Honeyball Andy Hagon and Rich Fletcher. Here we are with episode 34 of The TechBox. A podcast hosted by David Rich, Richard Yates, James Honeyball Andy Hagon and Rich Fletcher. In this episode David and James discuss all manner of tech related goodness. Hope you enjoyed the show. See you in Episode 35. Here we are with episode 33 of The TechBox. A podcast hosted by David Rich, Richard Yates, James Honeyball Andy Hagon and Rich Fletcher. In this episode Richard and James talk tech and are joined by guest Gavin Fabiani-Laymond. Seeing in the dark with NightSight! Windows 10 any good now? Tablet showdown on the new iPad Pro and the Samsung Tab S4, including guest drop-in with Gavin Fabiani-Laymond! Hope you enjoyed the show. See you in Episode 34 and have a great New Year. Here we are with episode 32 of The TechBox. A podcast hosted by David Rich, Richard Yates, James Honeyball Andy Hagon and Rich Fletcher. In this episode James and Dave discuss technology that has had an impact on their lives during 2018. Hope you enjoyed the show. See you in Episode 33 and have a very Merry Christmas. 31 – Upgrade Your Armchairs! 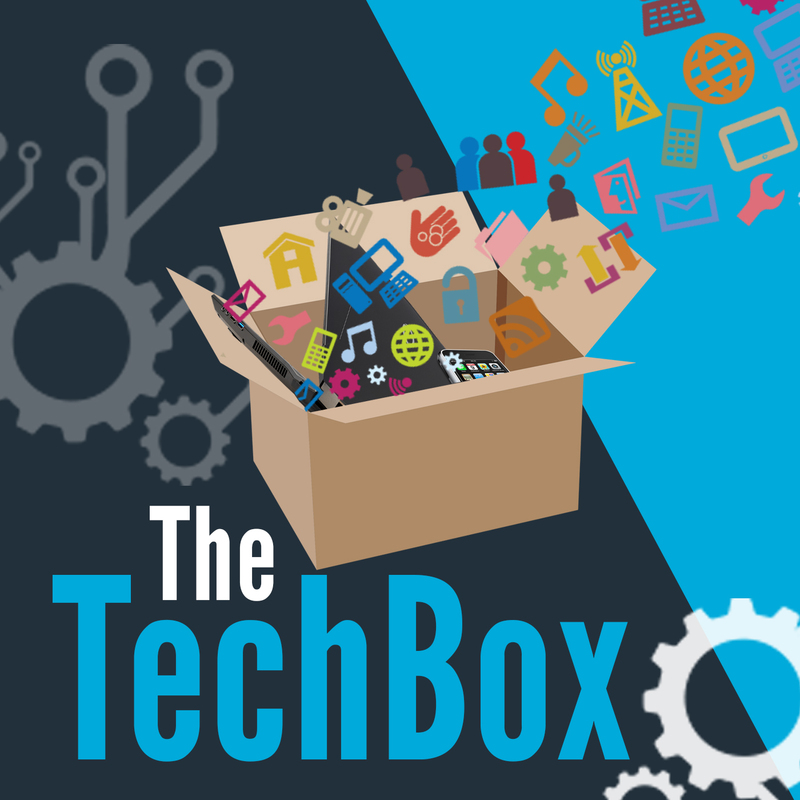 Here we are with episode 31 of The TechBox. A podcast hosted by David Rich, Richard Yates, James Honeyball Andy Hagon and Rich Fletcher. Black Friday Mobile Phones Direct deals now in hand! Hope you enjoyed the show. See you in Episode 32. 30 – Any Black Friday Bargains? Here we are with episode 30 of The TechBox. A podcast hosted by David Rich, Richard Yates, James Honeyball Andy Hagon and Rich Fletcher. Hope you enjoyed the show. See you in Episode 31. Here we are with episode 29 of The TechBox. A podcast hosted by David Rich, Richard Yates, James Honeyball Andy Hagon and Rich Fletcher. Here we are with episode 28 of The TechBox. A podcast hosted by David Rich, Richard Yates, James Honeyball Andy Hagon and Rich Fletcher. Hope you enjoyed the show. See you in Episode 29.